Jacqueline is a Family Law Practitioner who has a specialist interest and experience in the field of international children law. Over the years, Jacqueline has appeared in a significant number of the most important decisions in this jurisdiction (and abroad) in relation to the development of the law in this field. 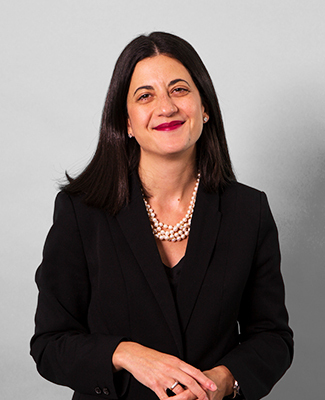 Running alongside her international practice, Jacqueline also has a substantial practice in private children law disputes. Jacqueline appears regularly in the High Court, and has also appeared in the Court of Appeal, the UK Supreme Court and the Court of Justice of the European Union. Jacqueline’s practice encompasses international child abduction (Hague and non-Hague), the recognition and enforcement of foreign orders (under BII(bis) and 1996 Hague Convention), jurisdictional disputes, international contact disputes, relocation (external and internal) and domestic cases concerning child arrangements. In 2017, Jacqueline was shortlisted for ‘Family Law Junior of the Year’ at the Chambers UK Bar Awards and Jordans Family Law Awards. Jacqueline’s lectures in this jurisdiction and abroad, and has given evidence in the House of Lords as to the impact of Brexit on European family law. Jacqueline also writes the “International Children Law Update” for Family Law Week. Jacqueline was shortlisted as “Young Barrister of the Year” at Jordans Family Law Awards 2012 and “Legal Commentator of the Year” at Jordans Family Law Awards 2013. Prior to coming to the bar, Jacqueline represented Bristol University and Middle Temple in both national and international debating competitions and was England’s Representative on World Debating Council in 2005 and 2006. She was ranked 21st in the world and was an Octo-Finalist at the World University Debating Championships 2005. Jacqueline also lectured on Islamic family law. Fellow of the International Academy of Family Lawyers. Focuses her specialised children practice on sophisticated international issues centring on jurisdiction, relocation and abduction. She already has an impressive number of appellate notches on her belt including appearances in the UK Supreme Court. Recent work: Led by David Williams QC on behalf of Madonna Ciccone in a high-profile Hague Convention issue. Focuses her specialised children practice on sophisticated conflicts centring on jurisdiction, relocation and abduction. She regularly appears in the High Court and the Supreme Court. Widely regarded as one of the rising stars of private children work, she often handles cases with an international element. Her peers value the enthusiasm and maturity she brings to her practice. Has a specialised private law children practice dealing with cross-border disputes pertaining to international custody and abductions. Recent work: Represented the mother in a wardship dispute concerning children who were wrongfully retained in Russia by their father. Seen as a rising star in cross-jurisdiction children matters, and has been frequently sought after to handle cases relating to child abduction, relocation and international custody/access.